The Cutera Xeo laser can safely and effectively treat both tiny superficial facial veins and deeper blue leg veins on men and women of all skin tones. Are you tired of unsightly facial or spider leg veins? The Cutera Xeo laser can safely and effectively treat both tiny superficial facial veins and deeper blue leg veins on men and women of all skin tones. This laser offers unparalleled flexibility in treatment parameters to make this possible. The longer wavelength with the right energy settings is delivered through the cooled hand piece. This gold-plated copper cooling surface deeply cools the skin on the surface and deeper tissues around the vein being treated. 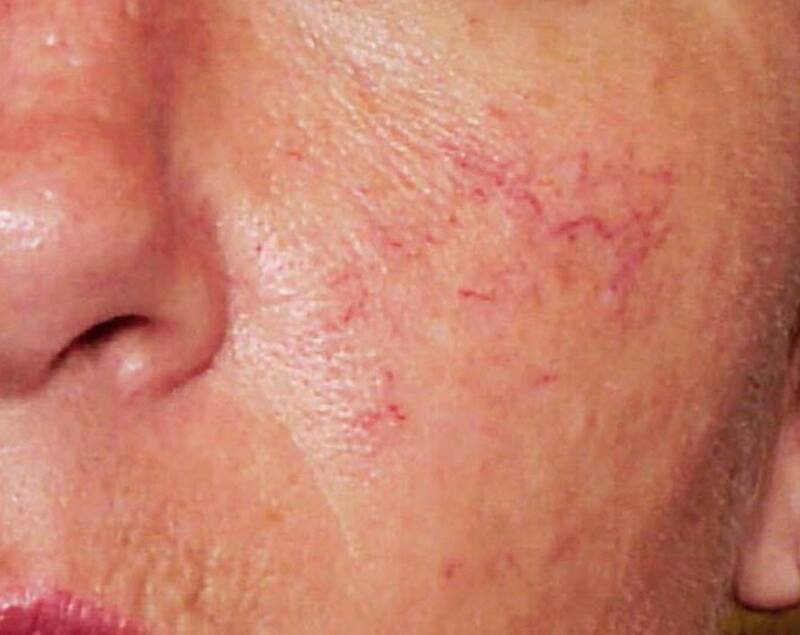 The laser energy, at 1064nm wavelength, is absorbed by the blood within the vein, but much less in the skin, resulting in coagulation of the blood vessel with protection of the surrounding skin. We also feature the Zimmer Cooling device to further add comfort and protect your skin. This protection of the skin and the flexibility in laser power settings is the reason for the low incidence of bruising and blistering. Most vascular lasers cannot make these claims and rely on less effective cooling systems. The treated blood vessel gradually disappears as it closes, and the blood returns to the deeper vessels where it doesn’t show. Usually, patients experience a slight stinging sensation that is usually controlled with the Zimmer Cooling device. Topical anesthetics are usually not necessary and limited in use. 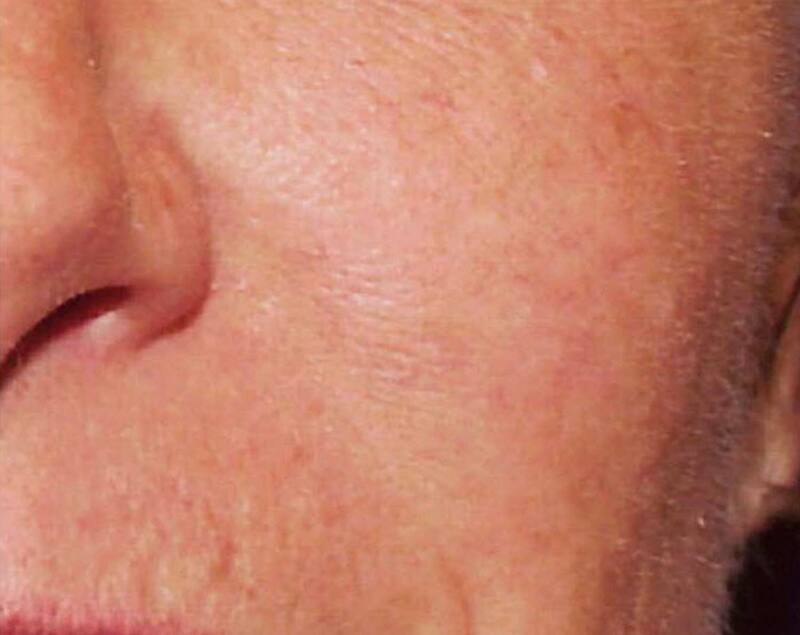 Before (left) & after (right) removal of facial spider veins with laser. Following treatment, pain is rarely an issue, and some redness over the vein persists for 12 to 24 hours, followed by resolution. Bruising and blistering are uncommon. Most improvement is noted within 2-6 weeks, but some veins may take several months to clear and repeated treatment may be necessary. In some cases, new veins may appear, but these can also be treated. We can safely treat veins of many sizes and in different body locations.